Holidays are my achilles heel. My friends and family roll their eyes when they hear that we are off on another one of our adventures, saying that we are in a constant state of either on holiday or planning one. The best way to be in my mind! Getting away from daily life is great for so many reasons – it reminds us to slow down, to savour the day and turn off. We learn so much from being out of our familiar zone, seeing how other people live, what other countries are like, and what we are like ourselves whilst there. It allows us to reflect on our own circumstances. It widens our horizons, educates us and refreshes us all at once. And without fail, no matter how good the trip, returning home is the best. However, in my mind there is no reason why all of the above can’t be achieved whilst staying in delicious surroundings! And a girl can dream right? So with that in mind, I’m sharing the hotels that are on my dream wish list…. keep scrolling to read my tips on how you can get the best deals to make that dream in to reality. When we visited New York earlier this year we stayed at the gorgeous 1Hotel Central Park (read more about that here) and fell in love with its cosy industrial style and mass of greenery. 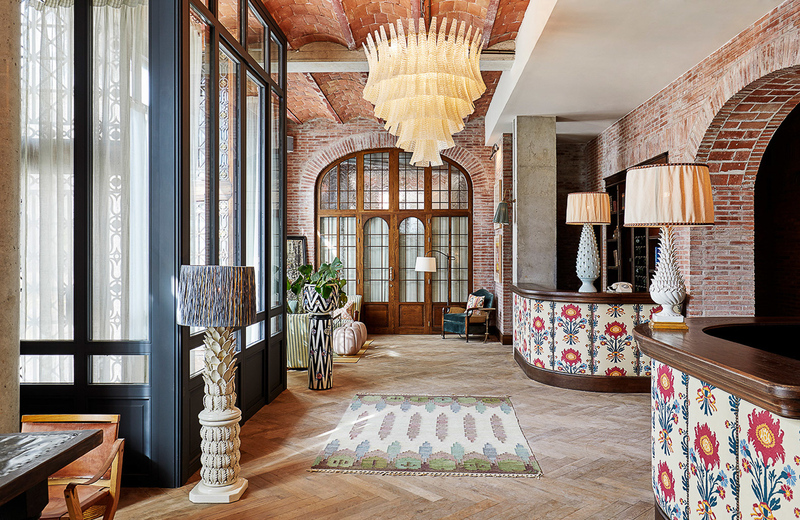 Our super friendly and helpful concierge told us about the just opened sister hotel across the bridge and we promised to head over and take a look. Alas, we didn’t get a chance but I know enough to say that my next trip to NYC will involve a stay at this hotel. 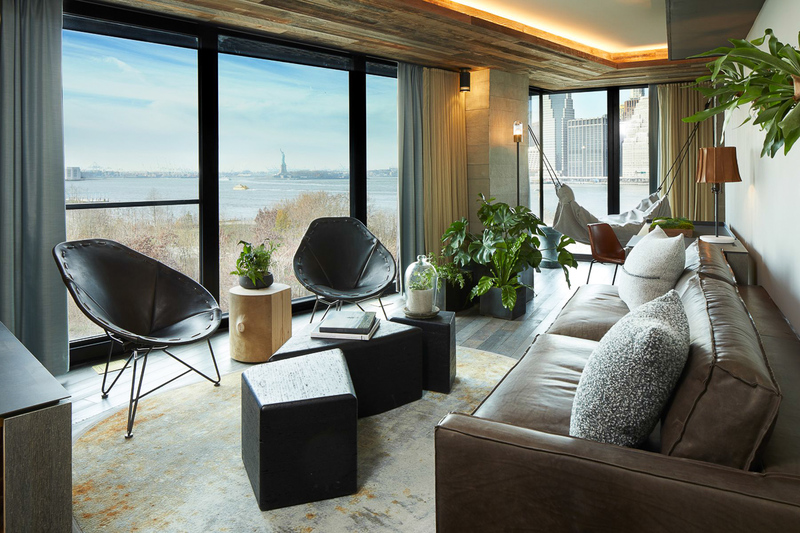 With views of Manhattan, the Statue of Liberty and the bridge FROM YOUR BED….a rooftop pool and hammocks, this place is interior-lovers heaven and the place to stay! It is the setting of this hotel that makes it so spectacular. Perched on the top of the dramatic Amalfi coast, the little town of Ravello is an otherworldly place. We stumbled across this hotel whilst exploring and stopped for cake and coffee – cue day dreams of staying here and floating on that pool for days! I stumbled across this hotel thanks to Pinterest and it is the mountain location that caught my eye. 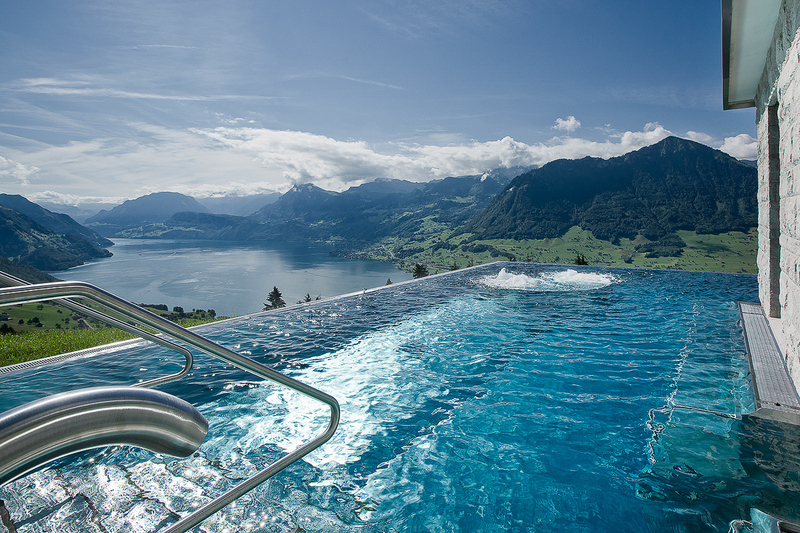 Situated high above Lake Lucerne, the clouds are below you and the terrace and pool have views to die for. This looks like one of the most relaxing places on earth. Want to feed a giraffe through a window at breakfast. I do! I really, really do! 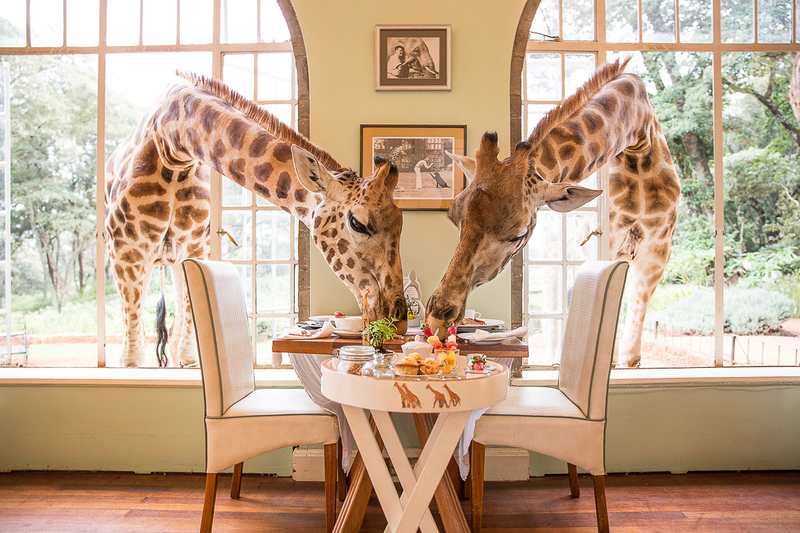 So many things about this hotel have captured my imagination, from the colonial interiors, the safari lodge and family run ethos … but it is without a doubt the giraffes that are the main pull. I’ve wanted to stay at Limewood for years. It is the big sister of The Pig hotels and friends who have stayed have raved about it. 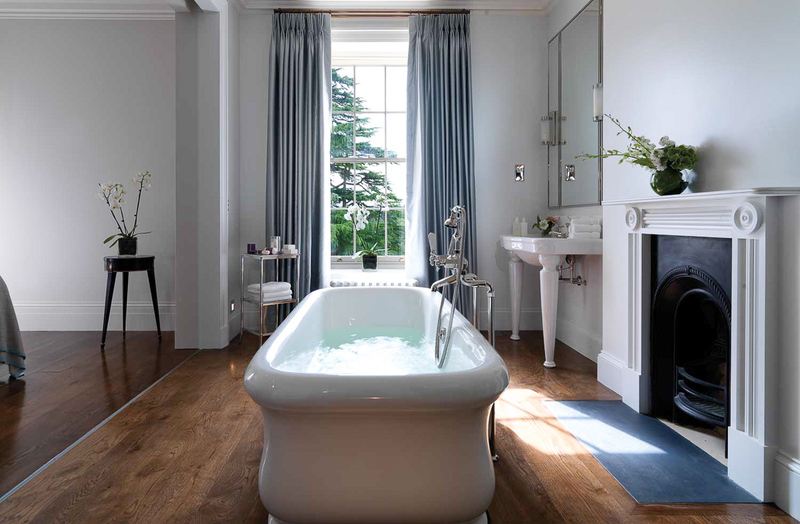 As they say, it is laid-back luxury at its best…and they have a cookery school which means I am sold! Ever since stumbling across Soho House’s Chicago offering (read about that here), I have been a little obsessed with this hotel group. The Barcelona house has only recently opened and with a rooftop pool and a cocktail cart that comes to your room every evening to make you a little tipple, I can’t imagine a better way to explore one of my favourite cities. Self described as a palace-hotel, just looking at the pictures tells you why. 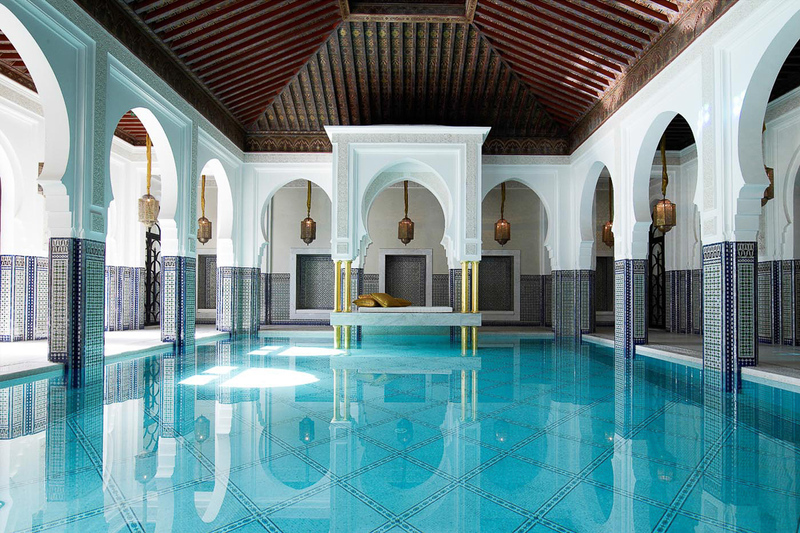 Moroccan tiles, pillared halls, a ice cream parlour in the grounds – it sounds like the perfect antidote after a long day in the bustling Medina. Often times hotels have a much reduced rate during the week than they do on the weekend so if you can be flexible about when you are visiting, you can get around 1/3 off the price. Depending on the hotel the length of time you stay can have an impact on the cost. Some hotels have a reduced rate if you are staying over two nights long, it also gives you bargaining power for a better room. However, if you simply can’t afford a full trips worth stay at your dream hotel, consider breaking your trip up across two places. Perhaps you can stay in your dream hotel for one or two nights and the move to a more affordable Air BNB for the rest of the trip. We did this when staying in Santorini and it made the trip feel longer than a week. If you have your heart set on visiting a specific hotel but can be flexible at the time of year then spend a bit of time testing how the timings affect the cost. We have found January to be an amazing time to travel and get good deals – it is a time when most people are hibernating after the busy festive season and hotels are crying out for some business! Plus, I can’t tell you how nice a trip in January is to give you something to look forward to and lift your spirits. When we are looking at booking somewhere to stay, our first port of call is of course Booking.com. We also check Mr & Mrs Smith and other booking websites. Whilst the prices may not always vary, what you will find is the different sites might offer different incentives. For example for our honeymoon we stayed at the breath-taking Monstera Santa Rosa (read al about that here) and booked through Mr & Mrs Smith. They offered a voucher for the spa – which we knew we wanted to use – and a bottle of wine so we saved about £100 in total on things we would have bought anyway. Whilst the above sometimes works out best, don’t forget to check out the hotel’s own website. They probably won’t be cheaper per se than the booking sites (I think they are bound to sell at the same price) but you may find incentives or deals – such as three nights for the price of two, a better room or breakfast thrown in. Are you celebrating? Call and let them know! Good hotels tend to love making a fuss of their guests and if they know it is a birthday/anniversary/honeymoon etc they will tend to do something to mark it. Be it chocolates and a card on arrival, an upgraded room or a free cocktail at the bar. It is best to explore both options as sometimes one can be better value than the other. Do you have any hotels on your wish list? What are your tips to get the best deals?